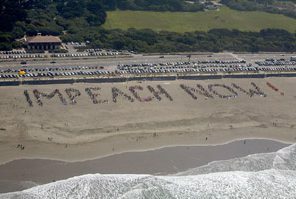 Thousands gathered at Ocean Beach Saturday morning to spell out IMPEACH NOW! in the sand with their bodies. 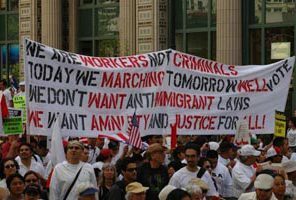 The event was coordinated with other impeachment events nationwide on April 28, and included a Code Pink march to Nancy Pelosi’s house.